Remember when End Time Rewind warned you not to fall for the Doomsday-Rapture theories of Dispensational Premillennialism and their Zionist partners? Well, now that we've survived John Hagee's Four Blood Moons, Jonathan Cahn's Super Shemitah, and the menacing tentacles of the now defunct European Union and Islamic State (the supposed Beast Kingdoms of Revelation 17), the Futurist's next false claim centers around the 70-year anniversary of Israel's founding. Is the Jewish State really the prophetic clock by which God aligns world events and the return of Christ? Many Doomsday-Rapture forecasts have been put forth in the name of Futurism since the 2nd-century AD, none of which have come to fruition. This is disconcerting, because failed predictions and false expectations promoted by our Christian counterparts diminishes the credibility of the Bible and scars the reputation and integrity of the Prophetic Office of Jesus Christ. 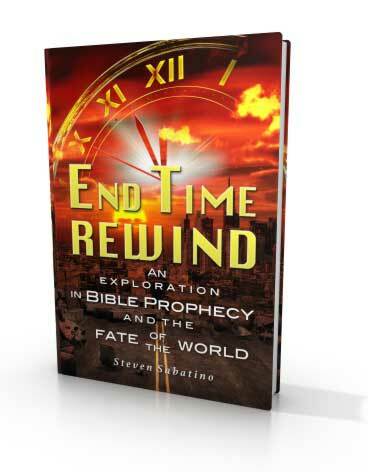 A must-read before the next Doomsday-Rapture false alarm! The age-old, tried-and-true Orthodox (aka Partial or Classical) Preterist approach maintains that the majority of Bible prophecies were already fulfilled by the end of the first century AD, and included Jesus' appearing in an Old Testament-styled, non-physical manifestation with power and great glory. All that remains to be accomplished in the future is for Jesus Christ to physically return to raise the dead (which is when the rapture also occurs), preside over the final judgment, and create a new heaven and earth devoid of sin and death where the new and holy Jerusalem from heaven descends (as per Revelation 20:7 - Revelation 22:5).